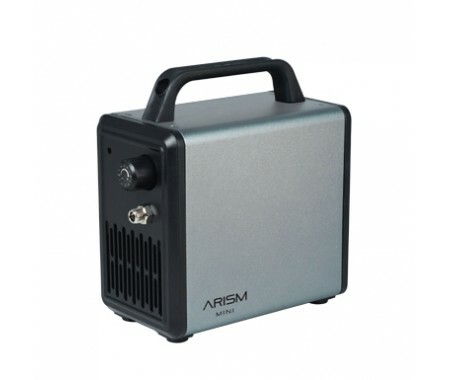 The ARISM Mini is a powerful and compact compressor; designed for workbench applications whilst saving the user space. 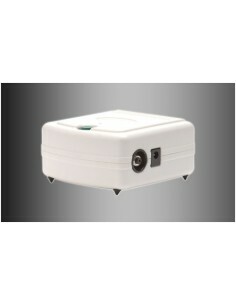 As a smaller unit, it was also designed to be highly portable and easy to store. 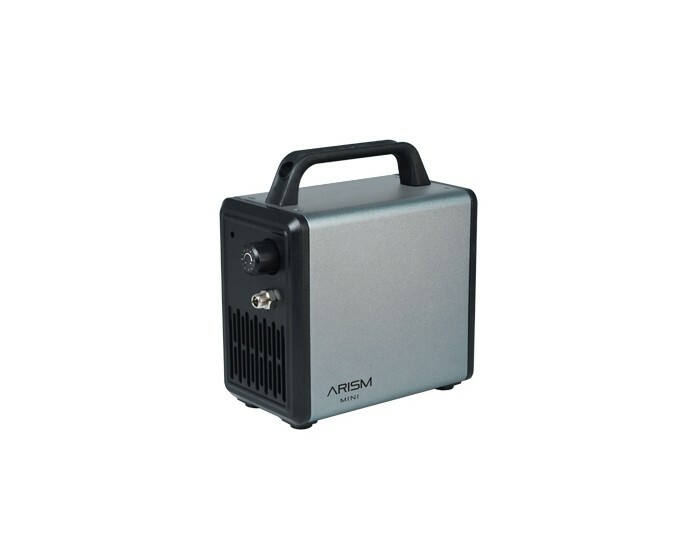 In keeping with it's compact nature, the ARISM Mini also has a built-in airbrush holder on it's handle, meaning less moveable parts to store or change. 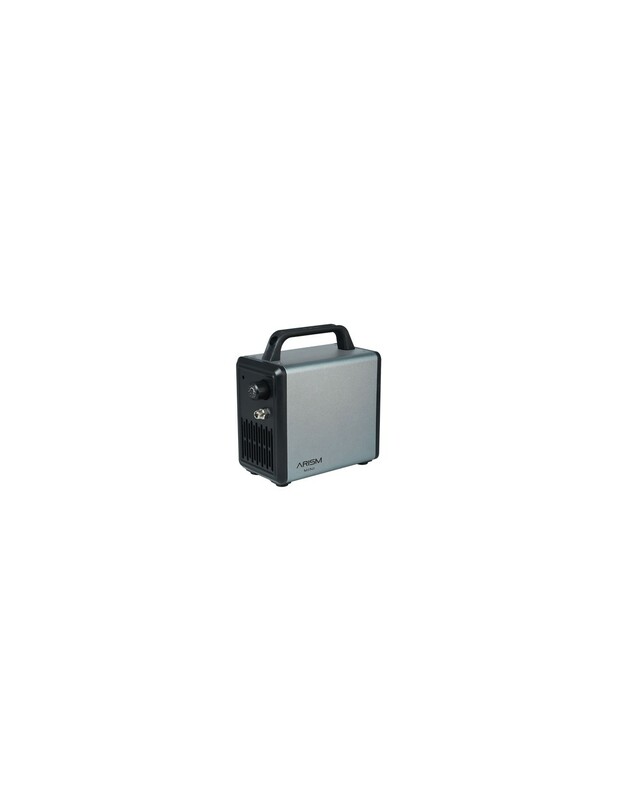 This is the quintessential compact compressor for all ages and experience levels, and is available in 8 colors. 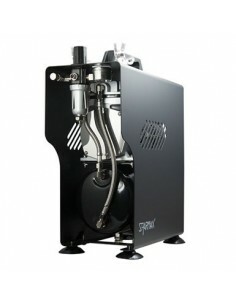 Piston compressor oil free that enables the use of it almost without any kind of maintenance.Oil free compressors are ideal for the recreative user that does not want to have lots of maintenance duties. Includes braided hose. 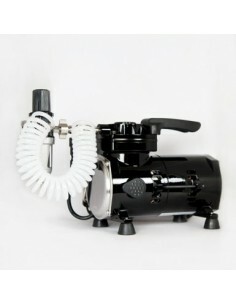 Portable compressor with handle cover. 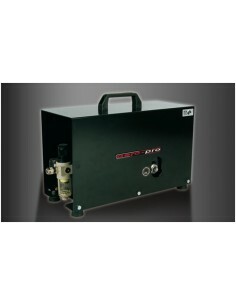 Complete with filter, pressure gauge and pressure adjustor. 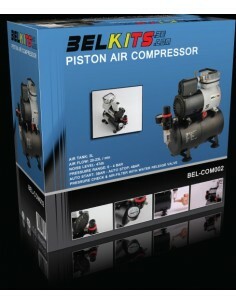 Piston type compressor. Oil free and none air contaminated. Auto start & stop function.